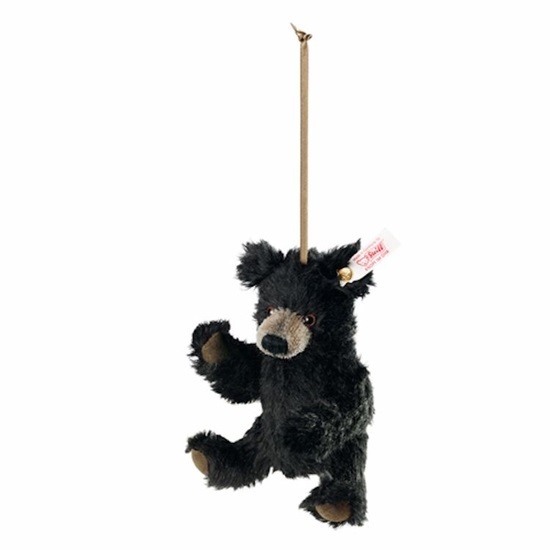 Paying homage to the true story of a little bear called “Winnipeg”, this charming ornament makes a wonderful gift for fans of the classic book. 2014 marks the 100thanniversary of the beginning of this magical story. Here is a chapter in the story of Winnie the Pooh with which you may not be familiar. In 1914, a small bear was born in Ontario, Canada. She was purchased for $20 by Lt. Harry Colebourne of The Fort Garry Horse, a Canadian cavalry regiment during World War I. Colebourne smuggled the bear into Great Britain as his regiment's unofficial mascot, where the unit's veterinarian named her Winnipeg, after his hometown of Winnipeg, Manitoba. Before the regiment left for the front lines,the future of this particularly gentle cub had to be decided, and so she was left in the care of the London Zoo. It was at London Zoo where a certain young boy fell in love with her - Christopher Robin, son of the English author A.A.Milne. Inspired by his love of Winnipeg, Christopher Robin named his own Teddy bear Winnie. This is a 4-inch bear that is sewn from the finest Steiff-Schulte mohair, and is two-way jointed. “Winnipeg” has a brown “shaved” muzzle, black safety eyes, and brown felt paw pads. A gold satin ribbon is attached to the top of the bear’s head, and makes a perfect ornament for any tree, any time of year.